What do you understand by telemedicine apps? Presently if anyone wants to seek medications and any consultation for treatment, the patient does not need to visit the hospitals. The technology advanced so far that various solutions are available to us for seeking treatment without visiting hospitals. After the introduction of the internet, the healthcare industry has seen rapid growth in terms of technology. Now with the help of telemedicine, clinicians are able to provide their services without any personal meetings with the patients. Healthcare providers are hiring telemedicine app developers to build scalable apps for their system. Telemedicine software is a technology that is used to render health-related services by using telecommunications and information technology. This software is used to render services to the people situated in remote and far-fetched locations. Telemedicine services are provided via smartphones and mobile devices to communicate with doctors. With the growing populations and an increase in the population of aged people in society, there is a much need for technology that provides in-house care. These services are beneficial in situations that need immediate attention and medical emergencies. The main motive behind telemedicine software was to provide remote services for those who have a scarcity of medical benefits. But with the increased usage of smartphones and internet people are using it a convenient medium to avail healthcare services from home. There is an increase in the population using this software to avoid spending time in the waiting rooms of hospitals. Telemedicine provides prompt services and saves the cost of both healthcare providers and patients. Enhanced reach: With the help of telemedicine software healthcare providers are able to enhance the reach of their services to various locations. The healthcare providers are able to set up a virtual hospital to people in need of medical attention. Remote monitoring: Telemedicine software is beneficial for providing remote services to patients at different locations. Remote monitoring encourages self-monitoring among patients. They record the vitals and forward to the doctors. Doctors are able to provide consultation if they notice any changes in the vitals. Removing geographical barriers between patient and providers: These services have reduced the gaps between doctors and patients and break the geographical barrier between the clinicians and patients. Clinicians are able to provide services after the clinic hours and provide flexible services to the patients. Cost-saving: Telemedicine helps to reduce the cost of healthcare. By fewer patients visiting the hospitals, the staff is more capable to focus on other key areas. The clinicians can see more patients by paying a virtual visit to the patients. No travel cost: This software enables patients to save traveling cost incurred in visiting the hospitals. They are able to consult from home or at any location. Improved patient care: Telemedicine has improved the patient’s experience with healthcare providers. These services provide immediate attention and also provide the facility to schedule an appointment online at the patient’s and clinician’s convenient time. Online scheduling: The telemedicine software enables patients to fix an appointment using the internet when they are unable to visit hospitals and schedule an online video call with the clinician. Store and forward: In this approach, the vitals and records of patients are stores and then transferred to the doctor for offline consultation. There is no need for the patients and doctors to present at the same time. Store and forward services are used in the situation where the patient is suffering from chronic disease or old age who need in-house medical services. Patients with specific cases like diabetes, asthma can record their vitals and forward to the doctors. Video conferencing: This software facilitates communication via video conferencing between clinician and patients. It is very beneficial in skin related issues and for psychiatric services. 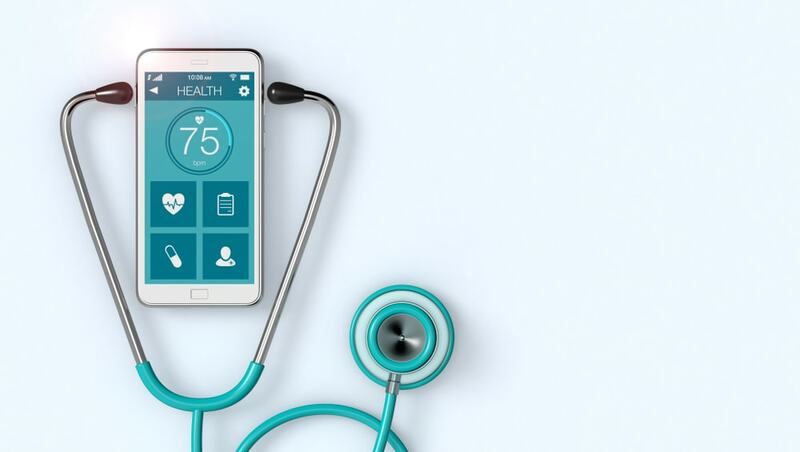 M health: Mobile health is gaining popularity among the user, they are able to access services from mobile devices from any location and anytime. Mobile health refers to using technical devices to record and store health information transfer to doctors. Wearable devices and other devices are used for this approach. Virtual visits: the clinicians are able to pay virtual visits to the patients situated at any location and at any time. With easy access and affordable services, telemedicine is growing and expanding its reach. Our telemedicine app developers, providing healthcare apps according to the current market standard. We develop all our software in compliance with the regulation issued by HIPAA. We provide offshore services to clients in foreign countries. Previous Previous post: GS-85 Glucose Support Formula – Controlling Glucose Issues?